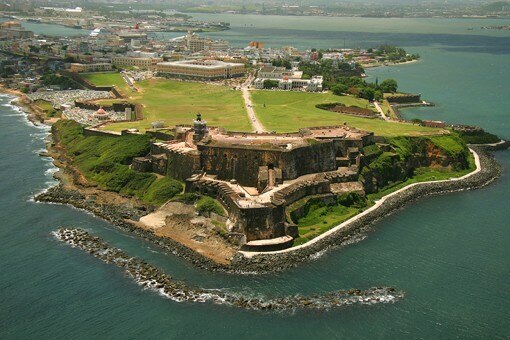 A holiday in Puerto Rico combines pampered beachside days with old-world culture and rainforest hikes. Book a Puerto Rico hotel and discover an island of gorgeous sandy beaches, preserved colonial neighbourhoods and hearty food. Where you stay in Puerto Rico can really define your trip. If you’re looking for an all-encompassing resort, a luxurious hotel, or simply a bed to rest your head at night, the island has something to suit everyone. When you travel somewhere as enthralling as Puerto Rico, you’re guaranteed to want to purchase some kind of souvenir to remember your trip by. Whether you’re looking to bring the exotic taste of the local coffee back home with you, or want to find the ideal gift for the neighbour who looked after you cat, the shops of Puerto Rico offer all that and more. Puerto Rico has a dazzling dining scene, from cosy local eateries serving traditional dishes, to sophisticated establishments offering cuisine sculpted by internationally recognized chefs. Whatever you fancy, it’s on your doorstep. Being in the Caribbean, a lot of the restaurants and staff tend to work on ‘island time’ meaning being rushed off their feet is not on their priority list. However, most tourists don’t go with the expectations of the chaos and quick turnaround of a bustling city, so if you can adapt to the relaxed pace of life and enjoy a glass of wine while your food is delicately prepared, then it’s the place for you. As an island, Puerto Rico has an abundance of coastline, and with the year round tropical weather, you’ll want to spend as much time as possible outdoors. Luckily, there is plenty to keep you occupied, from adrenaline inducing sporting activities, acres of plush rainforest and truly idyllic beaches. In the northwest of the Caribbean, sandwiched between the Dominican Republic and the British Virgin Islands lies the quaint yet enthralling island of Puerto Rico; a tropical paradise with more than just sun, sea and sand to its name. With residents speaking a combination of Spanish and English and the official currency being the US dollar, it’s an easy holiday spot for many tourists. Despite being only small, the island has 78 municipalities and a collection of three large adjacent islands all worth a visit.